Summer is officially over, with the final concert in the series of Thursday evening Big Band Sounds events on Eastbourne bandstand. The fine weather ensured good attendances, with audiences averaging well over 200. Hopefully these will continue in 2019. Autumn brings plenty of indoor big band gigs to look forward to. Among these are the Big Band @ The Brunswick sessions on the first Sunday evening of each month, with the season kicking off with Big Band Sounds playing to a packed house in September. I also went to see the Len Phillips Big Band Great American Swingbook Show, with singers Eleanor Keenan and Matthew Ford at the Devonshire Park Theatre in Eastbourne. Len retired a couple of years ago and the band is now directed by Joe Pettit. I’m not sure whether he was being serious when he introduced the opening number, Strike Up The Band, “written by George Gershwin and his lovely wife Ira”. As I understand it, George and Ira were never married to each other, although it is believed they shared a bed when they were young. The music covered the swing era ranging from Miller to Kenton and beyond. The soloists were excellent, and as one would expect from a professional touring band, the ensemble playing was tight. Both in the uptempo charts and the slower ones such as Neal Hefti’s Li’l Darlin’. To me, the outstanding piece was the haunting rendition of Ellington’s Black and Tan Fantasy. At first, I thought the band wasn’t paying enough attention to dynamics, but after a while, I realized that this was down to the sound system, which I thought would have been better with much less gain on the individual instruments thus involving less compression. Nevertheless the whole afternoon was a masterclass in how these charts should be played. The JP Big Band was formed for a one off charity concert in the summer of 2017, to raise funds for, and awareness of, Cystic Fibrosis. Trombonist Jim Prior invited his musician friends from in and around Sussex, and managed to assemble a full big band with three guest singers performing to a sell out audience at their debut performance. The band plays a mixture of old and new big band charts varying from Diane Schuur to Jaco Pastorius. 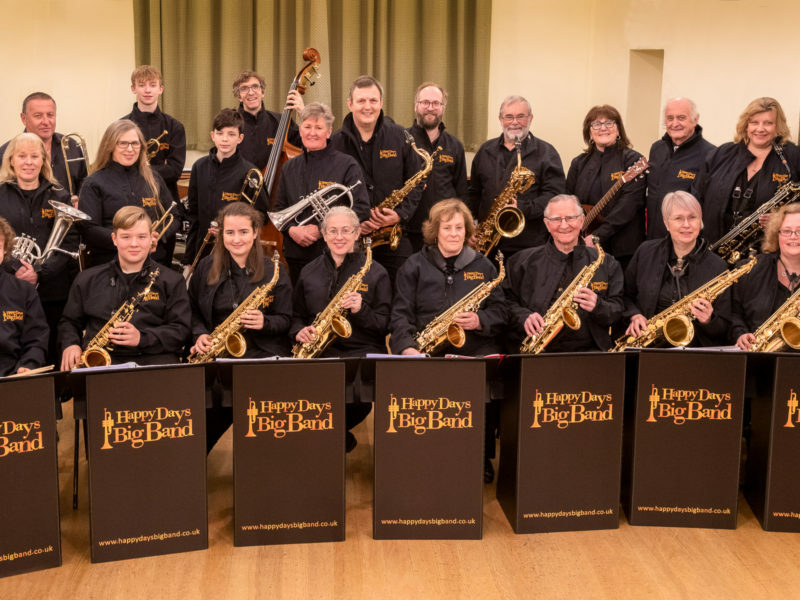 Their aim is to cater for all ages that might want to experience a big band and to also introduce new music to everyone that comes and listens. Currently they don’t have a set rehearsal day or concert list, as Jim’s plan for the band is just to hold the annual fundraising event. You have the opportunity to hear this 25 piece big band including percussion and French horns and the legendary Steyning Steinway Grand Piano. Together with special guests Paul Newton on trumpet, Mark Bassey on trombone, and on the vocal front Bryony Prior and vocal fusion Acapella and Saffron. And, of course, to support the charity at The Steyning Centre on Saturday 27th. Details are in the listings below. I know of two musicians looking to join, or dep with, a band. Baritone sax player Eloise Francis, who used to play with JetStream Jazz Big Band. Her contact details are 07769 671450 littlebridges@hotmail.co.uk. She also plays alto and tenor. Louisa Patient is a bass player, 07773 659421 loopybass@gmail.com. Finally two items of sad news. The Ravenswood Hotel at Sharpethorne no longer hosts live music. Trumpeter Mike Nicholls died of an aggressive brain cancer in August. He was in his early sixties. [R] 8:00 – 10:30 pm, The Rox Sessions Live at ‘The Hoff’: Bognor Regis Big Band open rehearsal at the Hothampton Arms, London Road, Bognor Regis, West Sussex, PO21 1PR, (01243 821434). Free entry with collection for the Rox music charity. 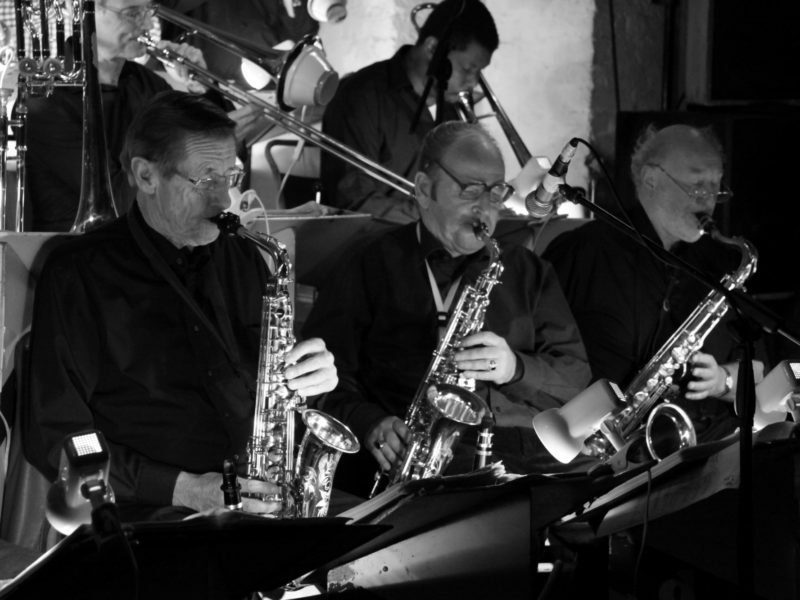 7:30 – 10:30 pm, Big Band @ The Brunswick: The Brighton Big Band featuring Dave Williams on vocals and special guest Robin Blakeman playing the music of Oliver Nelson and Quincy Jones at The Brunswick, 3, Holland Road, Hove BN3 1JF (01273 733984). Free entry with collection. 8:00 – 10:30 pm, The Perdido Players Swing Band with the Sister Sister Singers at Queens Hall, High St., Cuckfield, West Sussex (01444 848156) RH17 5EL. Tickets £10 from Pepperbox, Peter Swann (01444 450335) or on the door. Proceeds for Friends of Holy Trinity Church Cuckfield. 3:00 pm, The Gordon Campbell Big Band with Matthew Ford at The Hawth, Hawth Avenue, Crawley, West Sussex RH10 6YZ, £18/£17. 7:30 – 9:45 pm The JP Big Band, with special guests, at The Steyning Centre, Fletchers Croft, Steyning, West Sussex, BN44 3XZ. £15. Tickets available from The Steyning Bookshop (01903 812062) or online at www.justgiving.com/fundraising/JPBigBand, All profits to the Cystic Fibrosis Trust. Clocks go back to Greenwich Mean Time. 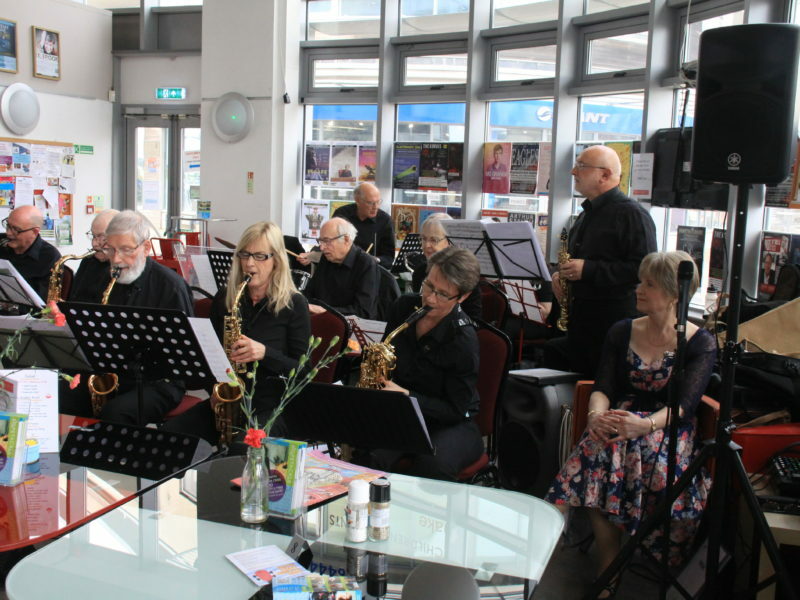 7:30 – 10:30 pm, Big Band @The Brunswick: The Sussex Jazz Orchestra, featuring guest star Henry Lowther, at The Brunswick, 3, Holland Road, Hove BN3 1JF (01273 733984). Free entry with collection. Hopefully another band profile, and more news about big bands based in, or appearing in, the county. If you would like your band featured, and I have not already contacted you, please get in touch. Anything else, such as gig news, or feedback on this column, that you would like me to include in November’s Big Band Scene, please send it to me by Wednesday October 10th. This is much earlier than usual because I shall be away. My email address is g8aac@yahoo.co.uk.